" Hit the road Jack" w wykonaniu Partyzanta na Jokerze S Mensingera. Model from Joker S series. 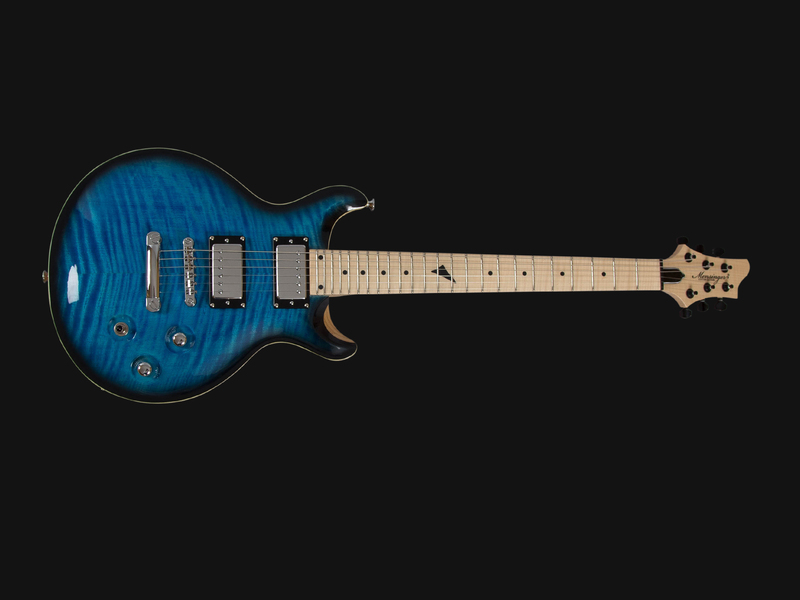 Body in deep blue color, made of mahogany with flame maple top, neck also mahogany, rosewood fingerboard with markings in shape of dots made of abalone. Biding around the body is natural maple. Guitar is equipped in one sided tremolo bridge and Schaller keys from 2000 series. Instrument have mounted Push – pull switch which disconnect coil in transmitters which allows having better solo sounds. 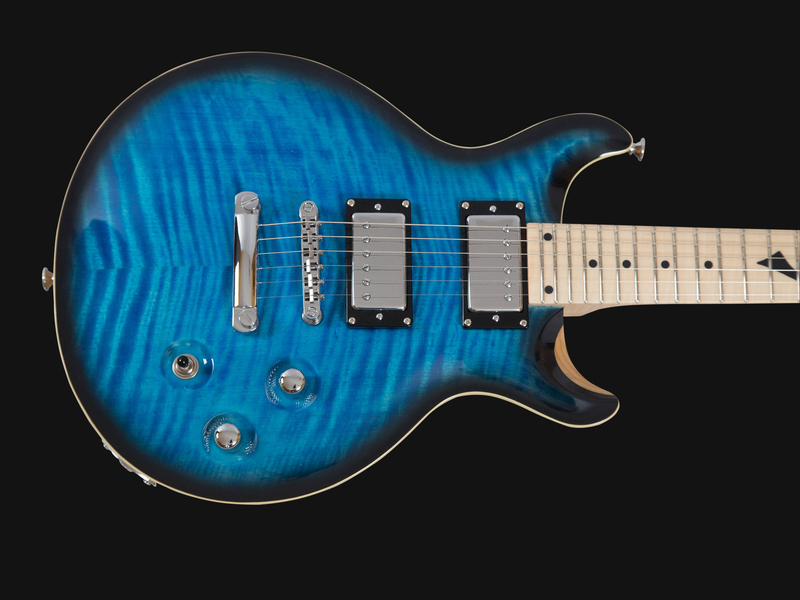 We used EMG 81-85 active pickups in this model. Model from Joker S series. Body made of mahogany with flame maple top, neck also mahogany, rosewood fingerboard with markings in shape of dots made of abalone. Biding around the body is natural maple. 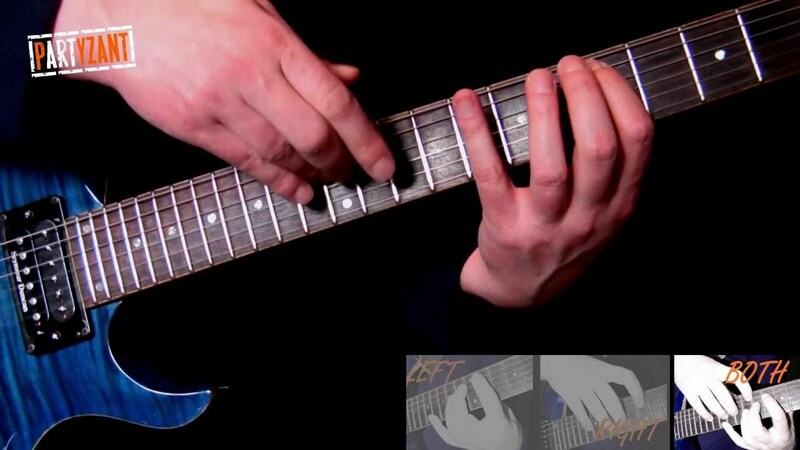 Guitar is equipped in tune-o-matic bridge and Schaller keys. Instrument have mounted Push – pull switch which disconnect coil in transmitters which allows having better solo sounds. We used Seymour Duncan SH2-SH4 pickups in this model. Model from Joker S series. Body made of mahogany with flame maple top, neck also mahogany, rosewood fingerboard with beautiful incrustation in shape of flames made of abalone. Biding around the body is natural maple. Guitar is equipped in tune-o-matic bridge and Schaller keys. Instrument have mounted Push – pull switch which disconnect coil in transmitters which allows having better solo sounds. We used Haeussel pickups in this model. Model from Joker S series. 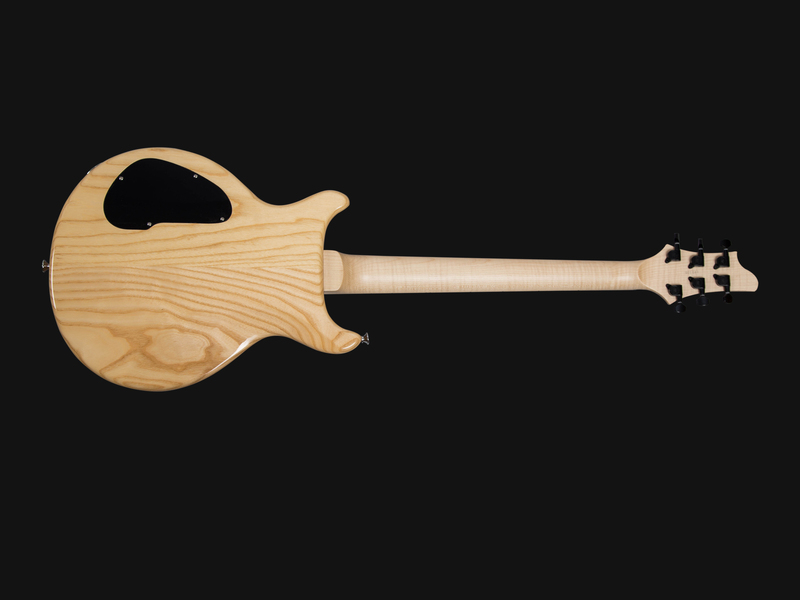 Body made of mahogany with flame maple top, neck also mahogany, rosewood fingerboard with dots markings made of abalone. Biding around the body is natural maple. 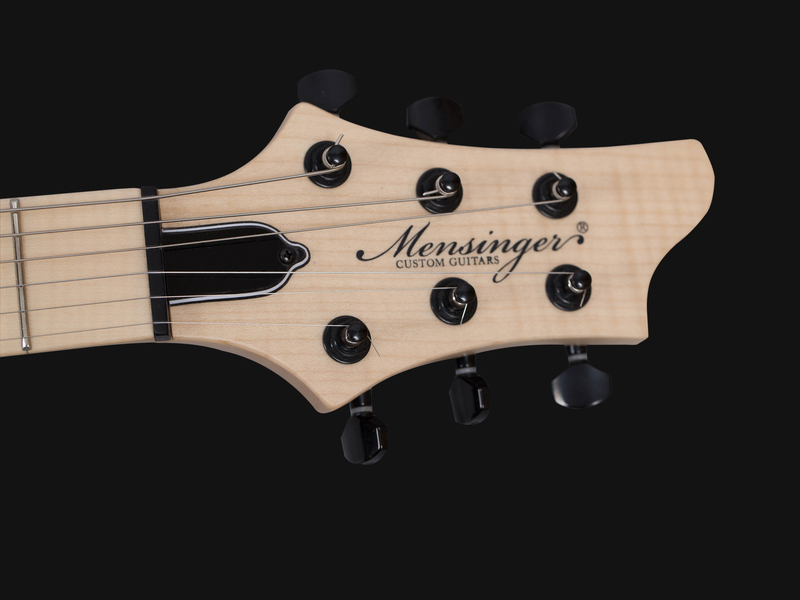 Guitar is equipped in one sided tremolo bridge and Schaller keys from 2000 series. Instrument have mounted Push – pull switch which disconnect coil in transmitters which allows having better solo sounds. 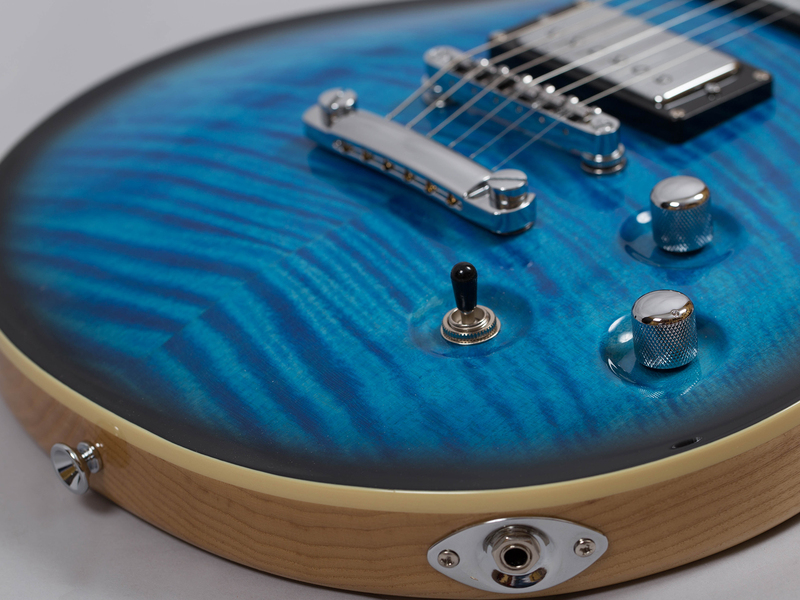 We used Seymour Duncan SH2-SH4 pickups in this model. 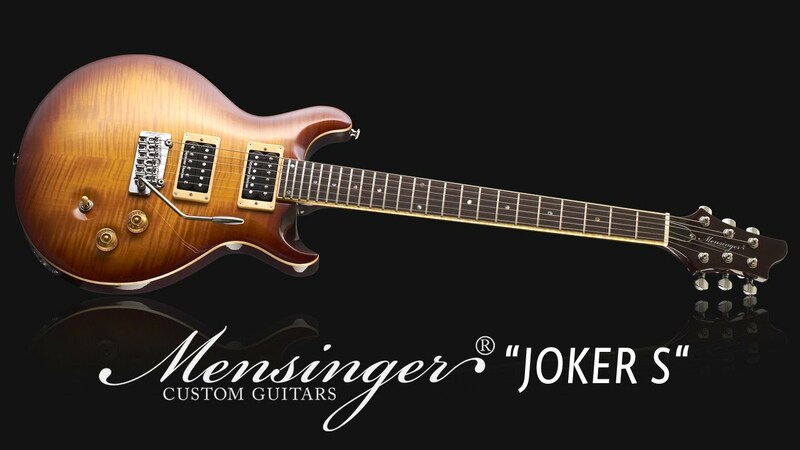 Model from Joker S series. Body in pale red color, made of mahogany with flame maple top, neck also mahogany, rosewood fingerboard with markings in shape of dots made of abalone. Biding around the body is natural maple. 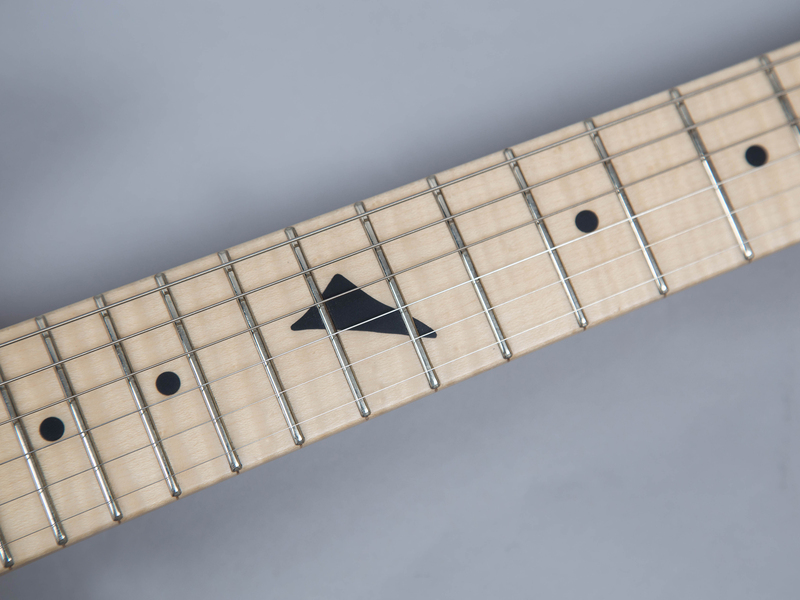 Guitar is equipped in one sided tremolo bridge and Schaller keys from 2000 series. Instrument have mounted Push – pull switch which disconnect coil in transmitters which allows having better solo sounds. We used Haeussel pickups in this model.